4 Star review of our new CD, Again and yet again, in International Bluesbunny Magazine online!! Reviewed January 2008, a "9 out of 10 Star "review for the new CD Again and yet again, for our European/German Fans with Rocktimes Magazine! "When the best elements of any particular style come together in a complete package, it doesn't necessarily have to possess ground-breaking qualities to warrant high merit. 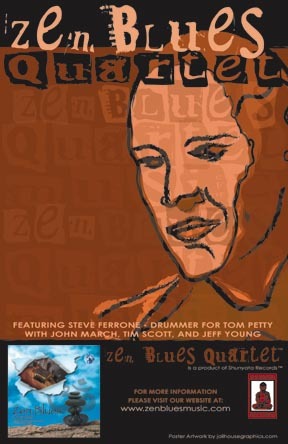 ZBQ offers everything a great Blues recording requires: convincingly soulful vocals, gritty and inspired guitar, churchy B3 Organ, and a fat pocket, courtesy of veteran groove master Steve Ferrone. The superbly recorded tracks offer a full range of blues grooves, from gut-bucket slow tempo, to uptempo shuffle, and everything in between. Solid! " As reviewed by Mike Haid Modern Drummer magazine. Featured artist review on Jazzreview.com! Reviewed June 2006 in Southbound Beat Magazine, a Fantastic Southern California Blues magazine! 4 Star review of our first CD in International Bluesbunny Magazine online!! "Let’s turn to The Zen Blues Quartet CD Again and yet again. We have Mike Finnigan, Tim Scott (Tower of Power, Robben Ford and Jack Mack), Steve Ferrone (AWB, Tom Petty, Eric Clapton) and John March. This disc rocks from start to finish! This CD is one of those hidden gems that you stumble upon, which I did. I am so glad I did. You will be too. Not only do you have Finnigan’s vocals but also you have Tim Scott. Scott’s vocals are almost too good to true. You can feel Tower of Power styles in his singing. The L.A. horns help that groove along. By the 3rd track this disc really grabs you with a slow groove version of the Steely Dan classic, “Reeling in the Years. Finnigan and Scott trade vocal duties on the tune to levels beyond belief. Then we get to Don Nix’s “Same Old Blues: This is the Blues! A stand out track. Nix would be proud. I can go on, but I won’t. This is a CD that you want to buy. You NEED to buy! There is not a bad tune on this disc. The musicianship on this CD is first class. I have listened to most of the players on this CD. I have never heard of John March, who is the guitarist and producer on this release. Let me say he is FANTASTIC!" I LOVE this CD, especially their cover of Steely Dan’s “Reeling in the Years.” I had to give it a spin last Friday on our blues show. I’m a HUGE fan of Steely Dan, so this was a sweet surprise! "A total blast!! I love these guys!" "I have the CD in my iPod now and was listening this morning on my way to work. Every once in a while I'll find a CD that makes me want to jump up, grab my guitar and start playing. This is one of those CD's. It makes me wish I was up on a stage instead of riding a train to the office. Thanks." "What a great CD! It's always a pleasure having John March and Zen Blues Quartet in our facility! They are true professionals to the core." "I loved the music, and the recording was fantastic"
"I had to write and tell you how much I really enjoyed the Zen Blues CD you sent ! Your guitar style is both refreshing and melodic (great tone dude ! lol), and the band sounds terrific. Your choice of material had a few pleasant curves as well. I wish you only the best success with the band. Its a new unique style and voice in the genre." "Folks that actually care how things sound? Good solid material recorded very well, mastered well and obviously played by folks that have quite a bit of talent and skill. Not the same old tones! Great sounding amps and guitars that make it clear that somebody cares how things sound. All the musicians on the CD are first rate. There is a nice variety in the selection material. Many blues folks just seem to repeat the same basic song over and over. This CD was refreshing in the aspect of a wider scope of material than is generally common in blues CDs. A CD worthy of any blues collection." "EXCELLENT recording! REALLY enjoying this CD, while I know it was done in a studio (the recording and engineering is very crisp!) it really gives that club feel, want to dance, like a good draft beer on tap vs. store-bought "
Nice idea too that supporting Tibetan people, as they have been really suffering a lot from Chinese army persecution for so many years now, in the total blindness and indifference of the rest of the World ! Keep doing good music like this man !" "Great CD! I really dig it. Used to play B3 with Jack Mack, and am a friend of Tim's, so I couldn't resist it. Best of luck ..."
"I've been listening to it for a couple of weeks now, and it's awesome. My favorite track is Real Mutha For Ya because it brings me back to when Johnny Guitar Watson's version was popular... Can't wait until you guys come to Boston... :-) "
"II've been waiting anxiously for a follow up CD, since I've almost worn out the 1st one. This is not just another blues band. Great arrangements, great selection of songs, blistering guitar solos, strong vocals, and of course, funky, in the pocket grooves by Steve Ferrone. I'm a drummer, and I've been a fan of his since his AWB days. Can't wait for the new one." I loved this album. It defies categorization – so slick, groovy and fun – ZEN says it all! Just when you think you have “got it” the next track surprises. A funky groove like no other from Steve Ferrone. Some great guitar work adds an edge; think Stevie Ray Vaughan with grace not in your face, as Zen balance rules here as these great musicians play off each other so well. Just the right touch on the B3. Everything is real tight. Highly polished and great sounding CD! I highly recommend it. Messin’ with Kid will have your foot tapping. Body and Fender Man is my favorite - so groovy, just the perfect touch! Thank you to all our fans and friends! 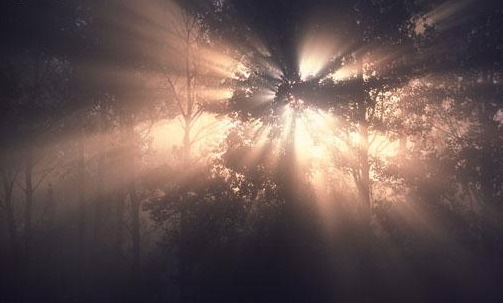 What is Zen Blues Music?